You don't have to just hum it anymore! 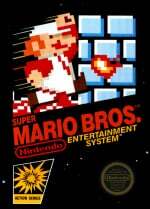 Super Mario Bros. was a trailblazer for video games in numerous ways, one of which was the iconic soundtrack that backed the whole game. 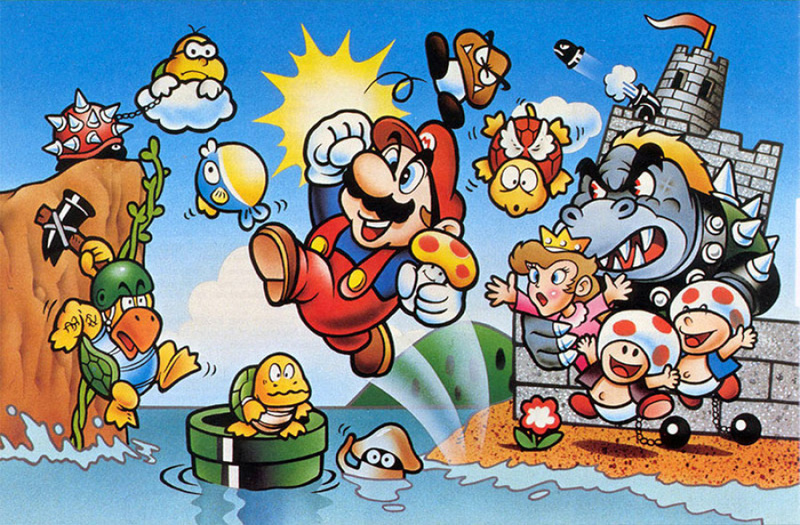 Particularly, the original "World 1-1" theme has passed on into legend at this point; arguably one of the most recognizable tunes in gaming and one that has been remixed endlessly in later releases. What do you think? Should Nintendo ever put the lyrics in one of the Mario games? Do you think other famous tunes, like the Zelda overworld theme, also have hidden or forgotten lyrics? Share your thoughts in the comments below. Come on, it's time to go, do the Mario! Take one step and then--"
@GeminiSaint I remember that show! I kind of knew this without completely realizing it. I have a Mario/Zelda big band album that was recorded live in Japan. There's a track on it called Go Go Mario and it has lyrics. I always thought it was weird and wondered to myself if it's supposed to have lyrics or if they just made them up for this particular show. Impressive... but I still think the Japanese Fire Emblem commercial version of the Fire Emblem theme wins out. Japanese Link to the Past commercial gets honorable mentions. Oh yea, I remember this. Never bothered to look up the lyrics though, so cool. Majority of Nintendo die-hard fans and former die-hards like myself should already know about this though. I like dank memes m8 don't h8! i played 16 seconds of the video and stopped. thats all i can do. @PanurgeJr Aloha to those dank memes, brotha! I think Luigi tries singing this in Super Mario Hyadain, but is quickly interrupted. Oh wow! Now that is interesting. I clicked the link expecting BrentalFloss lyrics. This should have been the credits music for Super Mario 3D World. Also, for some reason I thought this was referencing Super Mario Land's music so it confused me when the original SMB theme played. Also, @PanurgeJr super dank maymayz m8, i r8 8/8. @GeminiSaint Those lyrics are wayyy better than... this. They should have included this as an Easter Egg in Super Mario Maker. Who all attempted to the sing the English lyrics to the tune and failed miserably?I gave up after the 3rd line. Pretty sure I've heard this before... Anyway, I kind of love it! Wonder why they don't use them? And once you realize one of the levels in Yoshi's Island is called "Go! Go! Mario!! ", this comes full circle. Kind of. Also, what show were these lyrics from, All Night Nippon? Because that would explain a lot, too. Surprised more people didn't already know about this - I'd actually just finished listening to it on my playlist when I came across this article. Hey I remember this. Those lyrics were actually used in concerts featuring Mario music. :] I just never knew they were official! I call BULL on these lyrics. It should be Princess Toadstool, NOT Princess Peach! C'mon, it's time to go! Do the Mario! @FiveDigitLP A friend of mine has this album too. We always wondered where the lyrics came from. Woolseyism is a hobby of mine, so I'mma try to rearrange the translation of the lyrics to fit the rhythm later. Fantastic find - thank you. Well... this is certainly different from "Do the Mario!" I can't not sing "do the Mario" when trying to add words to this. Cool! They could add this to Mario maker, as part of a mystery mushroom.